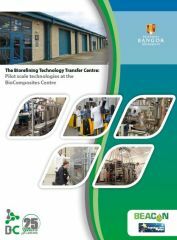 The Biorefining Technology Transfer Centre - Pilot scale technologies at the BioComposites Centre. The BTTC is an up-scale and product development facility where applied science is turned into market leading, innovative new products. The BTTC focuses on aspects of biorefining (including biomass fractionation and extraction) and is staffed by specialists with a wealth of knowledge in the use of biomaterials in functional, practical applications. This purpose built unit on the Island of Anglesey operates as a proving ground for the commercial viability of new technologies before their final release to market. It is a dedicated facility for the promotion and development of materials and chemicals of benefit to the low carbon economy. 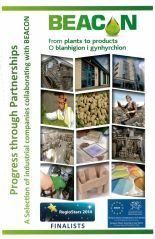 We gratefully acknowledge support for BEACON which is being part-funded from the Convergence European Regional Development Fund under the Welsh European Funding Office, part of the Welsh Government.